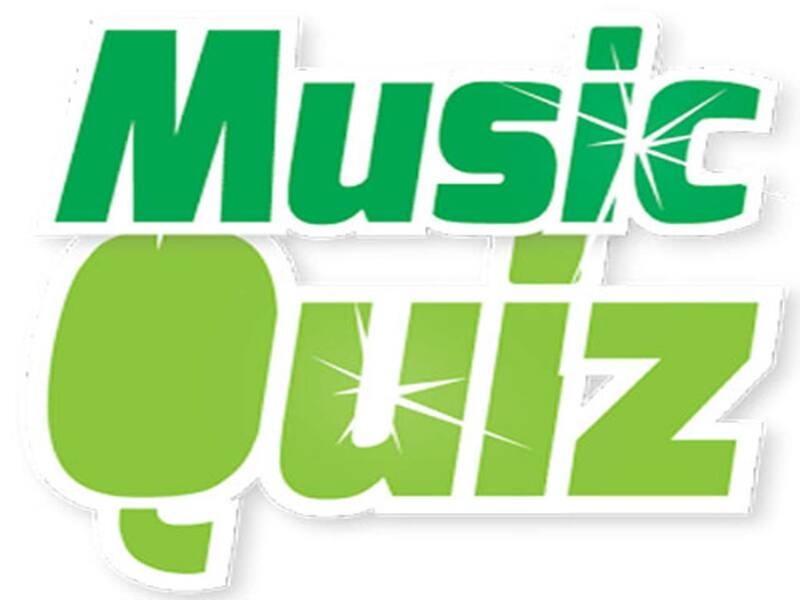 1) Name the Austrian musician who composed the famous Waltz ‘On the Beautiful, Blue Danube’ in 1866? 2) Which eminent German family produced musicians over seven generations? 3) Name the famous German composer who continued writing musical pieces even after he turned deaf? 4) Name the Russian born musician who composed the ballet ‘The Firebird’ in the year 1910? 5) Which musical instrument is reputed to be the oldest in the world? 6) Who considered as the father of Ghazals in Indian music? 7) What is the name of the Chinese guitar? 8) The highest attainable male voice in music is called? 9) To which country does the musical stringed instrument ‘Balalaika’ belongs? 10) Which is the national musical instrument of Japan? 11) Which instrument is a keyboard reed-organ, powered by foot pedals and used in American churches in 1800? 12) Which instrument has 47 strings and seven pedals, and was introduced in to the orchestra in the 19th century? 13) Which instrument‘s name translates literally as ‘soft sound’? 14) What were performed at La Scala, Milan and at auditorium in Convent Garden, London? 15) Which composer wrote 27 piano songs, 23 string quarters, 35 violin sonatas and more than 50 symphonies? 16) Which Barodian opera was completed by Rimsky-Korsakov and Glazunov after the composer’s death? 17) What is the title of only one opera of Beethoven? 18) Which symphony did Dvorak write during his time as director of the National Conservatory in New York? Answer: The ‘New World’ Symphony. 19) For which British king did Handel compose the ‘Water Music’ in 1717? 20) Which composer transcribed sound of birds and incorporated it into much of his work? 21) Which British conductor founded ‘The Proms’ in 1895? 22) What was the surname of the Austrian who catalogued Mozart’s works with K-numbers? 23) Who composed the ‘Enigma Variations’? 24) What does the musical term ‘fortissimo’ mean? 25) Which rock and soul singer’s real name is Annie Mae Bullock? 26) Charlie Watts, the drummer belong to which group? 27) What was the title of Paul Simon’s record which topped the album charts in 1986? 28) What is the stage name of the rock singer Reg Dwight? 29) Which Canadian singer/song writer recorded the albums ‘Blue’ and ‘Hejira’ ? 30) Which English rock group had a stage show that often ended up with them destroying their instruments? 31) Which of these compositions is not by Czech composer Antonín Dvorák? Aaron Copland wrote Billy the Kid in 1938. He was an American composer. Thomas Tallis was a composer of church music. He lived in the 16th century, during one of the stormiest periods in the history of English Christianity, and was part of the court of King Henry VIII. 33) Which of these is by Johann Strauss? Johann Strauss wrote The Blue Danube and many other waltzes. 34) Who composed Boris Godunov and Pictures at an Exhibition? Musorgsky is remembered primarily for his opera Boris Godunov and for Pictures at an Exhibition. Though his output was small, few composers have evolved so original and bold a style. 35) Who wrote Rondo alla turca? Wolfgang Amadeus Mozart composed Rondo alla turca, or the Turkish Sonata, in about 1783. 36) Which of these was a famous madrigalist, or composer of madrigal music? Florence, where a new style of lyric poetry influenced the madrigalists, produced the greatest madrigal composer of the 14th century, Francesco Landini. 37) Who composed the Messiah, first performed in 1742? A musical giant of the late baroque period, George Frideric Handel was born in Germany but spent most of his adult life in England. His Messiah debuted in 1742. 38) Who wrote Tales from the Vienna Woods? Johann Strauss composed his Tales from the Vienna Woods in 1868. 39) Who was known as the “King of Swing”? 40. What does the name “ukulele” mean in Hawaiian? The name Ukulele means “jumping flea” in Hawaiian, a reference to the quick movements of the player’s fingers. 41) In Greek mythology, from what was the first lyre constructed? In Greek legend, the lyre was discovered when Hermes brushed against a turtle shell and heard its sinews vibrate. He gave the new instrument to Apollo in restitution for having stolen the god’s cows. 42) What was Buddy Holly’s backup band called? With the Crickets, Buddy Holly was a pioneer of rock music. He died in a plane crash in 1959. 43) Where is it thought that the banjo originated? The banjo was probably brought to the New World by enslaved Africans. Variations on the banjo are found worldwide. 44) What was the name of the Who’s second rock opera? The Who’s second rock opera, Quadrophenia, was released in 1973. It was written by guitarist Pete Townshend. 45) Which instrument group is most important in Western marching music? The loud, bright-sounding brass instruments—trumpets, trombones, and tubas—are key in marching and military music. The kalimba, or thumb piano, is an African musical instrument with tuned metal tongues the player pushes and releases. 47) Which instrument is generally thought to be closest to the human voice? The violin, with its pitch range and ability to glide between notes, is said to most closely resemble the human voice. 48) For which instrument was relatively little classical music composed? Comparatively little classical music features the saxophone. It is mostly used in jazz music. 49) What instrument is common to almost every culture’s music? Nearly every culture with a musical tradition has some form of drum. 50) What instrument is considered the national instrument of Scotland? The bagpipe, a kind of reed instrument, is strongly associated with Scotland and considered the national instrument. 51) The saxophone is a popular jazz instrument, but what was its first use? Antoine-Joseph Sax invented the saxophone for use in military bands and orchestras. Not long after its invention, the French army adopted it for its bands. 52) What is the word for a kind of stringed instrument? A harp is a large triangular instrument with strings that the player plucks. The theremin, invented in 1920, was one of the world’s first electronic instruments. Pitch is controlled by moving one’s hands nearer to or farther from the device, without ever touching it. 54) What is the name for the end of a horn that projects the sound? On most brass instruments, the musician blows into the mouthpiece and the sound comes out the opposite, flared end, known as the bell. 55) How many pedals does a grand piano have? The grand piano has three pedals. Two lift the felt dampers above the strings, while the left pedal shifts the keyboard and action sideways. 56) How many beats does reggae typically have? The four-beat rhythm of reggae includes heavy accents on the second and fourth beats of each measure. 57) What country was reggae singer Bob Marley from? 58) With what religion is reggae music associated? Bob Marley, the reggae giant, was born in Jamaica in 1945. 59) Which instrument is not typically used in reggae? The electric guitar, the bass guitar, drums, and the “scraper” (a corrugated stick that is rubbed by another stick) drive the syncopated reggae rhythms. 60) What British rock band pioneered the use of the light show? A “psychedelic” rock band, Pink Floyd began to use light shows in its act in 1967. Today the lights include laser beams. 61) What was the first rock song to become famous around the world? Answer: Rock Around the Clock. Country artist Bill Haley and his band the Comets had an international hit in 1955 with their rock song “Rock Around the Clock.” Elvis Presley and other rock artists soon followed. 62) What are the instruments in a classic three-piece rock band? The guitar voices chords, the bass plays low notes that propel a song’s chord progression, and the drums provide rhythm. 63) What was the world’s first “rock opera”? 64) Who was the first rock-and-roll superstar? Elvis Presley was the first rock-and-roll superstar. He became popular in the mid-1950s and introduced rock music to many listeners. 65) What is the fundamental rhythmic characteristic of rock ’n’ roll? Rock songs usually put a heavy accent on beats two and four, typically on the drummer’s snare drum. 66) What is the lead instrument in most rock ’n’ roll bands? The amplified, or “electric guitar,” made it possible for the guitar to become the lead instrument in pop music during the 1950s and 1960s. 67) ‘My Music, My Life’ is the autobiography of which musician? Answer: Ravi Shankar – Sitarist. 68) Why didn’t Gustav Holst include Pluto in his 1918 orchestral suite ‘The Planets’? Answer: It wasn’t discovered until 1930. 69) What were the surnames of Thomas and Arthur who collaborated to write ‘The Savoy operas’? 70) What was the nationality of Béla Bartók, Zoltán Kodály and Franz Liszt? 71) What is the name for the annual summer series of concerts held at the Royal Albert Hall, London, in which the audience originally walked about? Answer: The Proms/ Promenade concerts. 72) What was used to conduct the orchestra before the baton was introduced in the early 19th century? 73) Which Irish flutist was a member of the Berlin Philharmonic 1969-75 before pursuing a solo career? 74) Which country home and opera house hosts an annual summer festival established by John Christie in 1934? 75) What are ‘Peter Grimes’ and ‘Billy Budd’? Answer: Operas by Benjamin Britten. 76) Which instrument do you associate with John Williams, Julian Bream and Andres Segovia? 77) What are the 5 -note pentatonic, the 6 -note whole- tone, the 7-note diatonic and the 13-note chromatic? 78) Which composer held the office of Prime Minister in Poland in 1919? 79) Which composer was Kapellmeister to Prince Esterhazy 1761-1790? 8 0) What was the name of the Italian village, renowned for its violin-making families of Amati, Giuseppe Guarneri and Antonio Stradivari? 81) Which’ legendary magician was the inspiration for musical works by Ferruccio Busoni, Hector Berlioz, Charles Gounod and Robert Schumann? 82) Which Australian composer, pianist and organist has held the post of Master of the Queen’s Music since 1975? 83) Whose operas are performed at the annual summer festival at Bayreuth in Germany? 84) Who was the famous British singer of the 20th century, whose original name was Harry Webb? 85) What was the name of the night club in Liverpool in which the Beatles and other ‘pop’ groups started their careers in the early sixties? 86) Who was the band leader who was killed in an air crash in the English Channel during World War II?